Want to rent a passenger travel van to travel in Singapore or to Malaysia? Book them now because we have one of the best rates in Singapore. Rentalorry’s travel van rental service with driver provides efficient transportation services with our very own fleet of reliable and clean vehicles. A travel van rental is the perfect service for you if you are looking to rent a van to travel around Singapore. Some of our vans can also be used to tour around Malaysia to let you see the sights and sounds of Asia. If you are medium size group coming from outside Singapore and need a vehicle to travel around Singapore, Rentalorry has a variety of multi passenger van rentals to provide you with the appropriate transport around Singapore. As some of the attractions like the Jurong Bird Park, Singapore Zoo or Resort World Sentosa may sometimes be harder to access by public transport, hiring a van would allow you to easily reach there. It was our first time to Singapore and we wanted to make full us to our trip to visit Malaysia as well. We were able to book a van with Charlotte and the van was clean and comfortable. Had a really good trip. We need a few tour vans to support our excursion around Singapore and to Malaysia. We spent some time looking around and the rates from Rentalorry were one of the lowest. The vans were comfortable and relatively new. Thanks! Brought my family to visit Singapore. We had some old people so need a private transport. The van driver was friendly, punctual and helpful. Would use this service again. 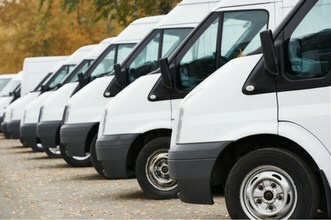 Why Hire A Travel Van? Having your own transport allows you to plan your own schedule of activities without having to worry about the timings of the public transport. 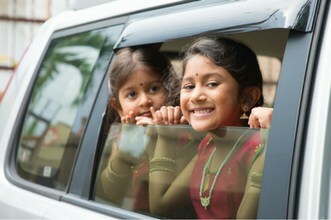 Visiting as many place as possible is the essence of a good trip and so a travel van is able to help you do just that. Our vans have adequate space for baggage and luggage so you do not have to squeeze with them while travelling. Even when you are at the different tourist locations, you can leave your belongings safely locked in the van and need not carry them around while you explore your destination. Our friendly customer service staff are you to assist you if you have any queries regarding the size of the vehicle you require to cater to a specific number of passengers. They will also be better able to advice you on the charges because we offer highly customizable van rental packages and we want to make sure you get the best deal. We have friendly drivers who can easily take you around town, just let them know which are the attractions that you want to visit and they will take you to them. If you are travelling with elderly people in your group, this is definitely a much needed benefit because you won’t not need to squeeze on the public transport or get lost on our little Singapore island. Our luxury vans are suited especially for groups travelling around Singapore and Malaysia and that is why there are fitted with GPS systems, DVD players and entertainment systems to keep you occupied throughout your ride. These vehicles also have areas specifically for luggage and baggage so you do not need to squeeze with your belongings. These vehicles are also well maintained so ensure maximum comfort for our passengers and not have to suffer from the blazing heat if the air conditioning breaks down.